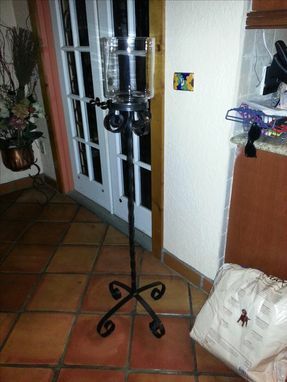 Unique Candle Holder And Centerpiece. 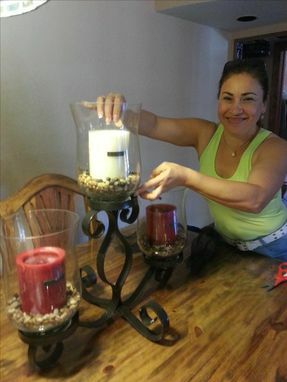 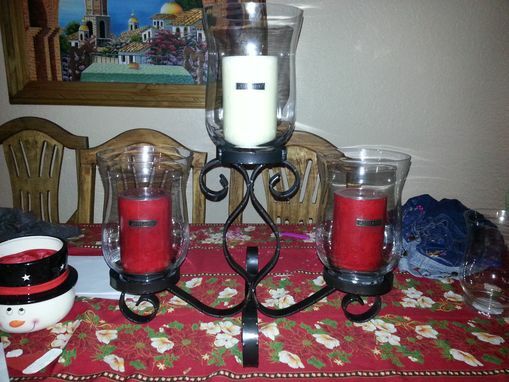 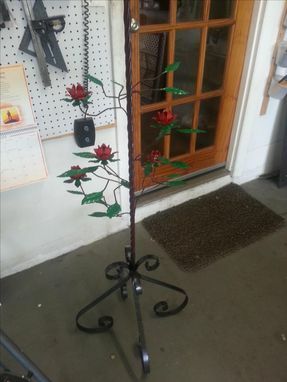 We can create any unique candle center piece or free standing candle base. 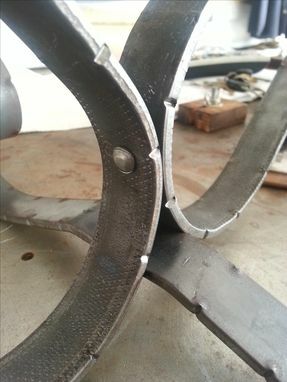 Send us a sketch of your design and watch it transform into life. 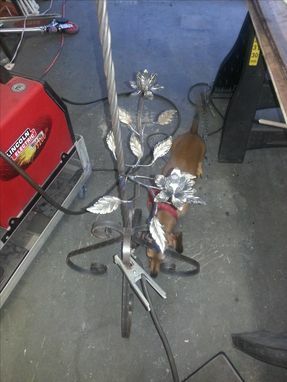 All scrollwork is done by hand and rivets can be used for that authentic wrought iron look. See what we can build for you today.